In context: Gigabyte could cut 5 to 10 percent of their workforce amidst slow motherboard sales. Other companies like Asus and MSI have also previously acknowledged Intel's CPU shortage has impacted their sales. Unfortunately, those working in Gigabyte's motherboard segment could be at risk of receiving walking papers, as the company is reportedly planning to reduce sales and marketing expenses for 2019. The report comes by way of DigiTimes citing "market observers," suggests that Gigabyte's motherboard business will be the sole target for layoffs, while their graphics card business is expected to be unaffected by the employment shrink. According to DigiTimes, Gigabyte's motherboard sales have been declining since 2016, when they saw shipments of 16 million units. In 2017, shipments dwindled to 12.6 million. For 2018, Gigabyte shipped 11.4 million motherboards. The decline in sales is expected to continue in 2019, where Gigabyte aims to keep volume shipments above 10 million units. Meanwhile, Gigabyte's graphics cards shipments for 2018 came in at 3.5 million units, which is where they were at in 2016, before the great cryptocurreny mining bubble of 2017 set in. 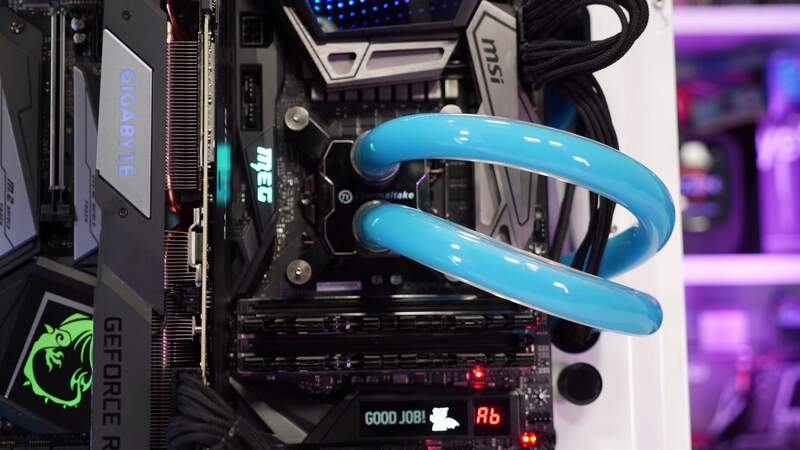 Intel's well documented CPU shortage hasn't made things easy for OEMs and motherboard vendors alike, with companies like MSI and Asus also having to tighten the belt around their budget. Additionally, sluggish demand still lingers after the cryptomining bubble burst. It would seem Nvidia isn't the only one suffering from the proverbial "crypto hangover."